Few hotels in Savannah can compare to the charm and historic authenticity of The Marshall House, one of Savannah's oldest hotels. For visitors looking for an true historic hotel and a unique experience, the Marshall House's historic wrought iron balcony is the perfect place to enjoy a glass of wine. Many of Savannah's tours include a stop in front of The Marshall House and a brief talk about the hotel's history, architecture, and reputation. Here's a quick look at what makes The Marshall House one of Savannah's most interesting and iconic buildings in the historic district. In 1851, the four-story Marshall House was built by Mary Marshall. It served as a hospital for soldiers toward the end of the Civil War, and during two yellow fever epidemics. Because the building was used during these difficult times, the hotel joins Savannah in enjoying a fun, haunted reputation. From 1895-1899 the hotel was closed. It then operated on and off as a hotel until 1957. It was renovated and re-opened in 1999. For more details about The Marshall House's history, Visit this Page. The Marshall House underwent an extensive renovation in 1999. Many of its original features were preserved: authentic 19th century doors, windows, railings, moldings, and tall ceilings can all be seen today. 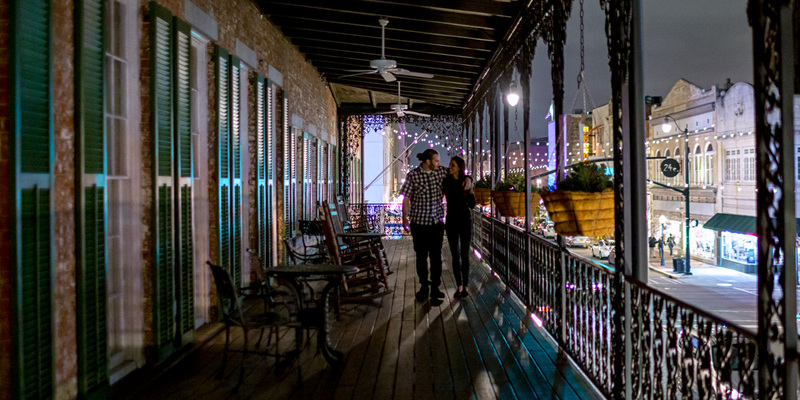 Some rooms have antique claw-foot tubs and Broughton Balcony King Rooms offer access to a wrought-iron balcony, which was reconstructed to replicate the building's original veranda of the early 1900s, through floor-to-ceiling windows. Each of the three floors celebrates a period in History. Display cabinets at the end of the hall ways show artifacts found during The Marshall House's restoration. A one-hour talk on the history of The Marshall House and Savannah is given in the library during our wine and cheese reception on Tuesday, Thursday and Sunday afternoons. 1. Mary Marshall is still here...in a portrait painted by Peter Laurens in 1830. The portrait currently hangs behind the front desk, so Mary greets every guest at check-in. The painting was purchased from the Estate of Jim Williams, a well known Savannah preservationist and antiques dealer made famous by the book Midnight in the Garden of Good and Evil. 2. Mary’s husband is here too. Mary’s husband was James Marshall, a banker. His portrait hangs above the fireplace in the library. 3. Our First Guest Review was Published in 1852.The Savannah Morning News published a heart-felt endorsement on July 31, 1852: “Following the advice of a friend, I stopped at the Marshall House, a new first class hotel, opened here a few weeks ago. 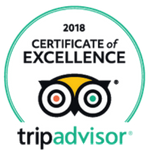 The parlors and sleeping rooms are handsomely furnished.” Modern day reviews rank The Marshall House consistently among the top Savannah hotels. 4. The verandah wasn’t original to the hotel. The 120-foot iron verandah was added in 1857, six years after the hotel was constructed. Ralph Meldrim (owner of the Green-Meldrim House where General Sherman stayed during the Union Troops occupation of Savannah during the Civil War), was proprietor of The Marshall House at the time. It was re-constructed and replicated during the hotel’s major renovation in 1998. It’s now considered an iconic symbol of the property, and its a favorite for returning guests. 5. Mary Marshall was a fire department patroness. In 1867, Mary Marshall contributed start-up funds to a volunteer fire department so The Marshall House and other properties in Savannah could have some fire protection. They called it Marshall Hose Company in her honor. 6. Joel Chandler Harris lived here. Famous for authoring the “Uncle Remus” stories, Mr. Harris was also the associate editor at the Savannah Morning News and was considered Georgia’s leading humor columnist at the time. Mr. Harris lived in the “Florida House” – a boarding house that later became a part of The Marshall House in 1880. 7. The Marshall House sat empty for 42 years. In 1957, The Marshall House closed its doors. The hotel was 106 years old, and its owners at the time faced expensive retrofits to comply with new state fire codes. The hotel remained closed until 1998-99 when extensive renovations were done, giving us The Marshall House we know today. Today, The Marshall House is truly in the center of Savannah's historic district activities. Just outside our front door on Broughton Street, you'll find some of Savannah's best shopping and dining opportunities. Walk five minutes in one direction, and you're on River Street. Head out in another, and you’ll find yourself in the hustle and bustle of City Market. Savannah's famous squares, historic homes, and top local evening venues are all within walking distance.